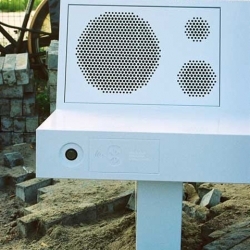 Designer Michael Schoner of NL Architects transformed a regular piece of street furniture into a sound system called 'Boombench' - it reveals its hidden power via Bluetooth, allowing the public to play the music on their mobile phones. 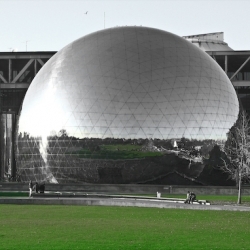 From october to may 2009, La Géode in Paris will broadcast the complete season of the Metropolitan Opera, live from New York - in HD! Welcome to the new green, Big Apple style. 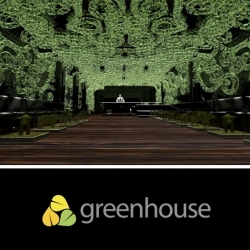 New York City welcomes its first green nightclub tonight as Greenhouse opens its sustainable doors. 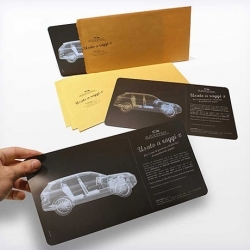 To promote the quality and confidence of their cars, Italian Copiaincolla Autocenter Mantova sent a mailer in a brown envelope with the message: "we use X ray". Inside there was a plate of the X ray test of a vehicle. 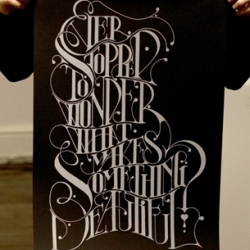 Very nicely done poster from UK based designer, illustrator and typographer Daren Newman. Ever Stopped is a limited edition A2 glow in the dark screen printed poster. 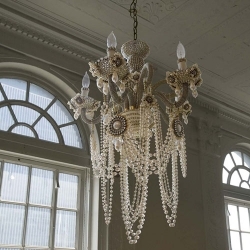 erickson beamon brings their innovative and decadent aesthetic to home decor and creates an exquisite lighting piece. japanese glass pearls, swarovski crystals, gold plating, glass and brass chains, etc the glam rock chandelier is a handmade objet d'art. 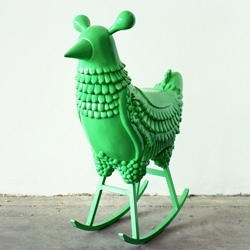 FEATUREDJamie Hayon's big green glossy rocking chicken ~ obsessing over it tonight, you saw it miniaturized and in porcelain in #16304, and then i went and read up and found more sketches of the full size. Wow. 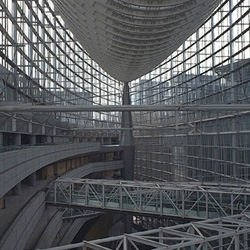 The Glass Hall of the Tokyo International Forum, by Rafael Viñoly, is a must-see architectonic space. 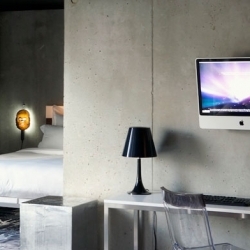 Mama Shelter's rooms include Philippe Starck stuff and 24″ iMac. 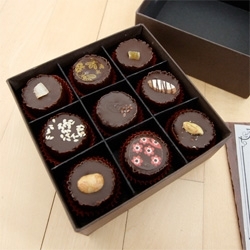 FEATUREDOcocoa ~ hands on with these yummy gourmet peanut butter cups... remember them from #16193? 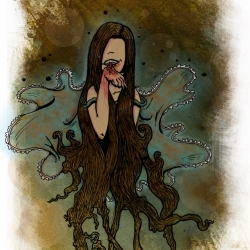 Exit She Calls. 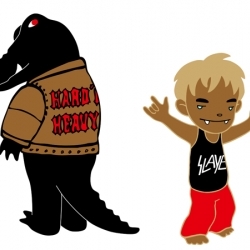 A illustration by Davel F. Hamue for a local band of the same name. 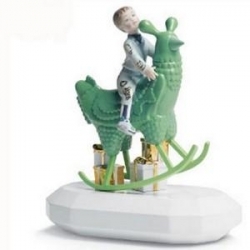 the rocking chicken ride by jaime hayon for lladro - omg, i want the life sized one even more now! 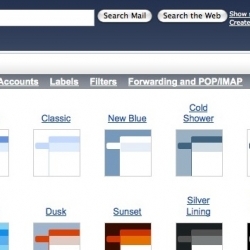 Gmail now has themes! From old school to Ninja. 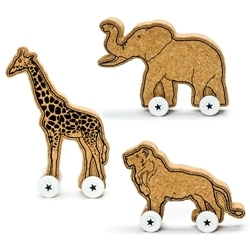 Great echo cork wheeled toys by BenBlancStudio for DCI. 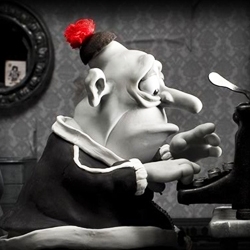 intriguing images by Magdalena Bors. 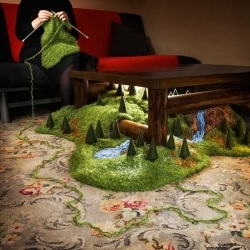 Favorites are the indoor scenes transformed into landscapes with generic household items. 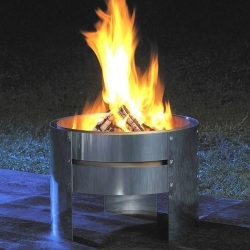 Get that perfect fire roaring away in your yard! Nothing centers and inspires me more than a crisp night with hot flames. 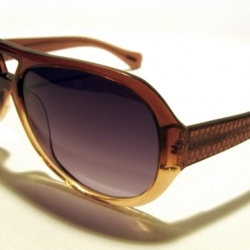 This is designed by WMF of Germany. 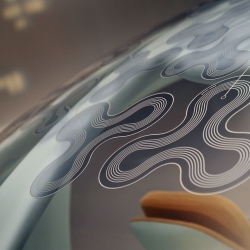 Amazing New Concept by Nissan, the NUVU (meaning new view) Uses really intresting Solar panels, designed into its glass work. 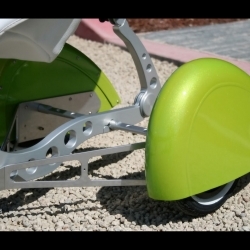 Transport Design leading the way!!!!!!! 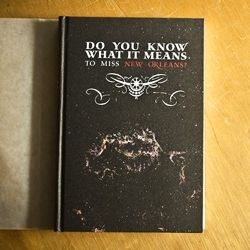 "Do You Know What it Means to Miss New Orleans" is a touching, beautifully designed book from small Tokyo publisher Chin Music Press. 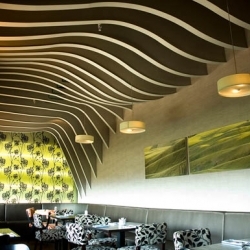 The book cover and interiors are designed by Craig Mod. 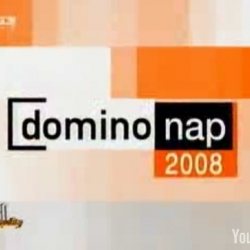 VIDEOHands down the most impressive and unbelievable domino set up/knock down i've ever seen. The Dutch take the cake, using 4.3 million dominoes on "Domino Day." 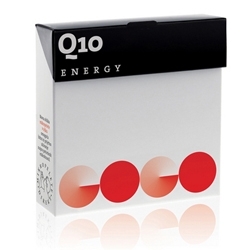 FEATUREDGift Guide ~ Gorgeous Gifts For Anyone ~ kind of like hostess gifts? but more fun? 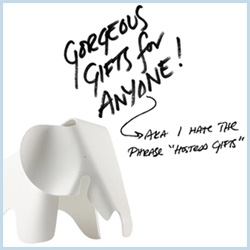 Really the kind of pretty gifts that make great backups when you're not sure what to give to.... significant other's parents? etc? This 2009 Desk Calendar filled with drawings of imaginary vacations will help you imagine far off places while being strapped to your desk. 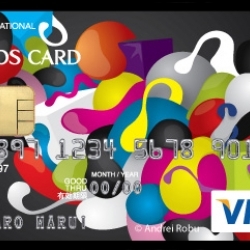 Epos Special Edition Visa - 100 Card Designs from 100 artists from around the world. 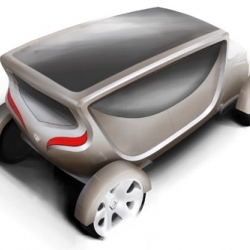 Winner Design for "My first Renault" contest in Latin America, by Alvaro Fernandes, brazilian design student. 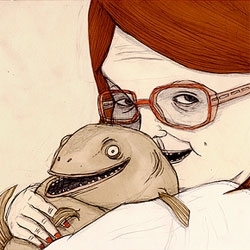 Astrid Yskout has a great illustration portfolio that centers around mundane, every day relationships. 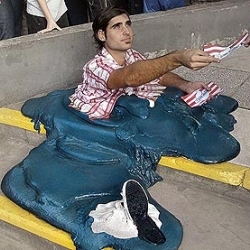 To warn about climate change and its consequences to Leo Burnett in Argentina created a "man melted." 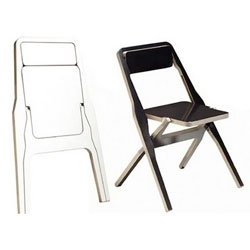 Love the 2F folding chair by Hannu Khnen of Crea Design - made from a single piece of birch that has minimal waste and can be stored flat. 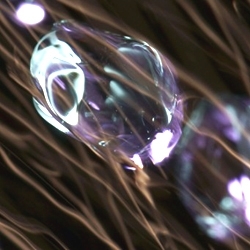 Sakurako Shimizu creates custom jewelry based on audio waveform. 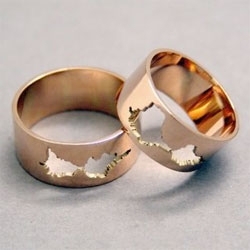 These particular wedding bands were each based on a recording of the bride and groom saying "I do". A paragon of efficient modern minimalism, Jonathan Segal's Union complex is an excellent example of adaptive reuse. 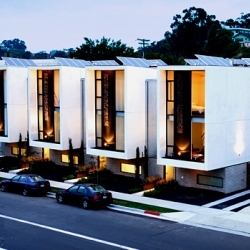 These gorgeous modern lofts are 50% powered by photovoltaics. 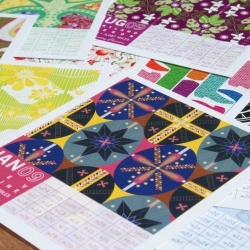 Love Eva Eun-Sil Han's collage prints. 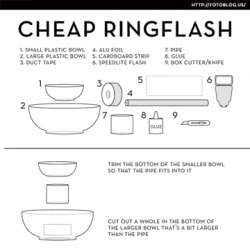 Step-by-step for a cheap ringflash. Photographers can now afford gas. 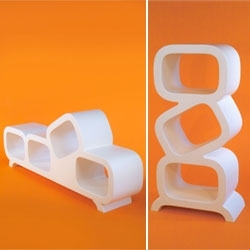 Interesting furniture from Lars Contzen's System Crash series. 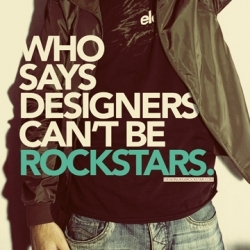 A site looking to feature "rockstar designers" for free, though their design creative testing process is questionable. 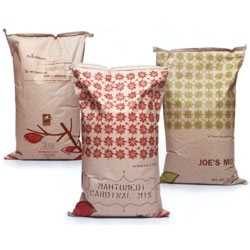 Beautiful bird seed bags for All Season Wild Bird Store by Imagehaus. 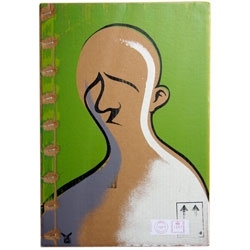 We Made This showcases their lucky find of one of Adam Neate's prints from his "London Show" - on 11/14/08, Adam claimed the streets of London as his gallery and scattered 1000 editioned artworks around London, rethinking the idea of the 'private view'. 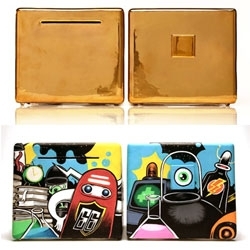 Gorgeous PCs from Plush Department, including new limited edition Pure* Art PCs, with designs commissioned from Zender, Delft Blue, Mijn Schatje, Piet Boon (in concrete! 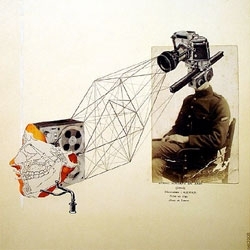 ), and Edward van Vliet. Christopher Bettig of theMountainLabel makes these awesome laser etched drawings of Richie Tenenbaum (from the Royal Tenenbaums). 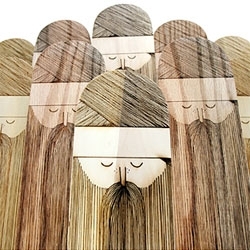 The figures can be made from poplar, oak, or ash and are around 12 inches tall. 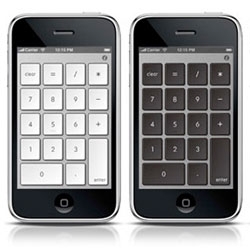 Turn your iPhone into a numeric keypad for your notebook - NumberKey, by Balmuda Design. 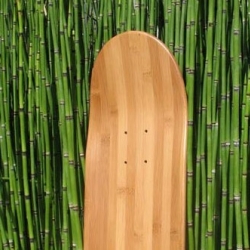 BambooSK8 boards are made from 100% bamboo grown in managed forests. 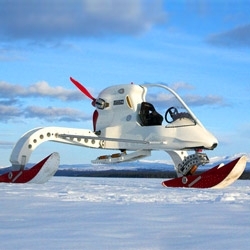 The CIV (Concept Ice Vehicle) built as a manned scout rover for a trans-Antarctic expedition. It's a cross between an ultra-light and a snowmobile with a supercharged BMW 1150 engine that runs on biofuel. 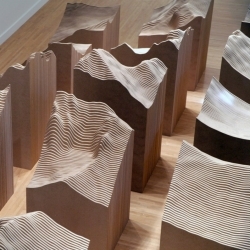 Online retrospective of art, architecture and memorials Maya Lin and her studio have produced in the past 26 years. 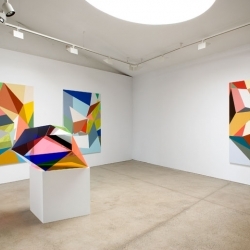 Gemma Smith at Sarah Cottier Gallery in Australia.